The team who believes, that games are something more than just an entertainment. For us – it is the art of the XXI century, with an outstanding new element – interactivity. Despite the all previous directions of art, it is the ability to create new stories and huge worlds with a new outstanding experience! A unique chance to be a part of the new story, or breathe the new life into well-known one. Games are an infinite amount of opportunities in ideas, points of views and ways of mind. Key from the door between reality and completely new and unique worlds of imagination. However, one thing is equal for each game – its existence, because its creators have their own reasons. So, what is our main reason? Everything is simple: You wonder – we make it real! 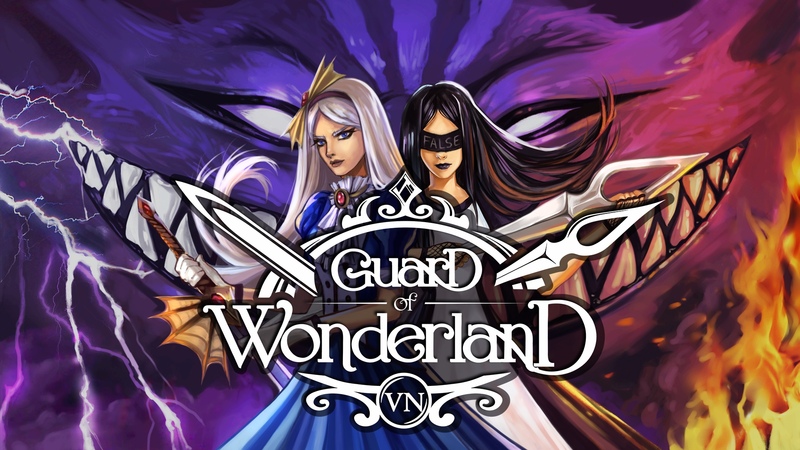 The world of Guard of Wonderland , based on the famous English fairy tale and creatively rethought by our team. New heroes are going to join to the such familiar characters as Alice, the White Rabbit and the Cheshire Cat! Together with them, players will immerse into the incredibly attractive atmosphere of Wonderland, where the phantasmagoria of a twisted tale tangles with an eerie story from the real world. ♝ GoW:VR - the world's first visual novel in virtual reality, dedicated to the world of Alice in Wonderland! Download free stickers for favourite messenger! Copyright © 2015-2018, Designed by Wonder Games.